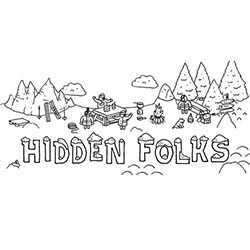 Hidden Folks is an Adventure, Casual and Puzzle game for PC published by Adriaan de Jongh in 2017. Enter the city of black and white. Lots of people live together peacefully in this place. There are lots of adventures that players can explore in this mysterious city.